With spectacular views of Sydney Harbour, the Bridge and the Opera House, the Park Hyatt Hotel is something special. And a place that is very close to my heart. I actually worked at the hotel for several years long before its renovation in 2011. It was special back then and is even more so now. I've shared many a special birthday at the hotel's restaurant and Pete and I also celebrated our wedding reception in The Dining Room in 2010. The hotel exudes charm and class and what I loved about working there was that it had a real elegance to it, without being stuffy. The service was, and remains professional and friendly and the food and accommodation was always impeccable. Add to that Sydney's best views and you can understand why it truly is a special place. 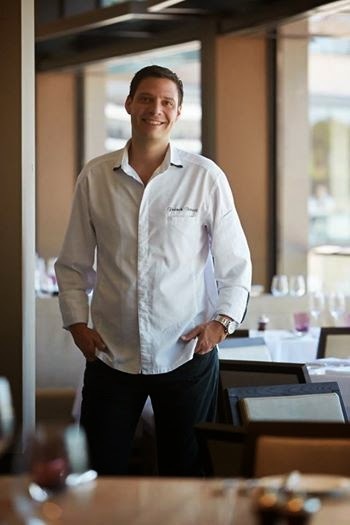 On a recent visit we met with new Executive Chef Franck Detrait who has recently joined the hotel after working for the Hyatt brand in Dubai and Paris. Chef Detrait is warm and friendly and very passionate about his craft. 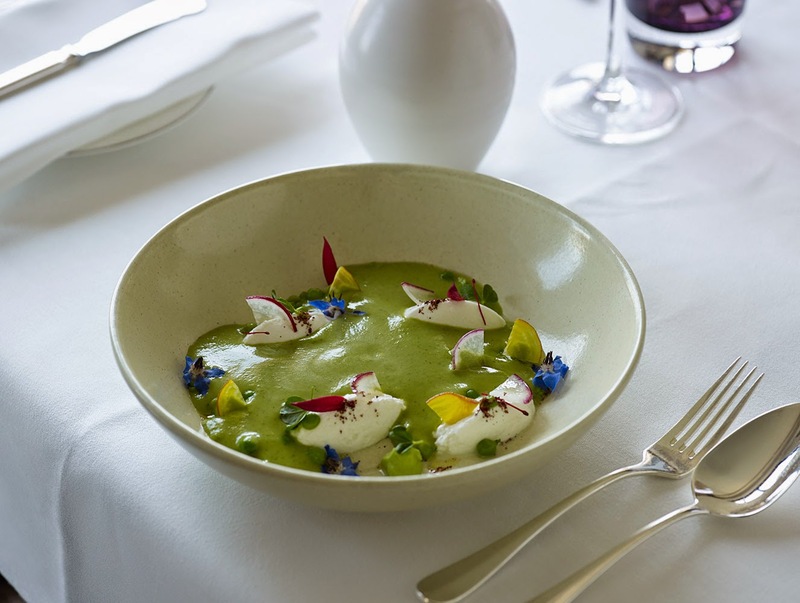 Having never visited Sydney prior to his appointment at the hotel he tells us he is keen to explore the regions of New South Wales to scope out fresh and unique produce and work with local producers. Sampling a variety of dishes which feature on the new menu, standouts include the terrine of duck foie gras topped with hibiscus & Jamaican peppercorn jelly, berries & umeboshi ($38). Two warm pieces of toasted brioche are the perfect vessel for the rich foie gras. The addition of berries and umeboshi provide a nice acidity to the dish and balance out the richness of the foie gras. The corn fed chicken breast is cooked perfectly and is deliciously moist, served on a bed of sweet corn & curry which is sweet and silky. Crispy chicken skin and popcorn provide a nice textural element to the dish and the snap peas and baby corn are warm and still retain that fresh crunch. Each dish was matched by wines selected by our friendly sommelier who happily answered our many questions and provided a fantastic commentary on each wine. The evening finished with dessert - A crisp and sweet mille-fleur filled with vanilla bean crème served with strawberry salad and a subtle rose infused ice cream. 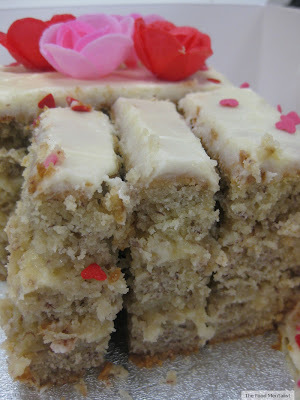 A few weeks later we head back to enjoy High Tea and celebrate my first Mother's Day with some of my family. 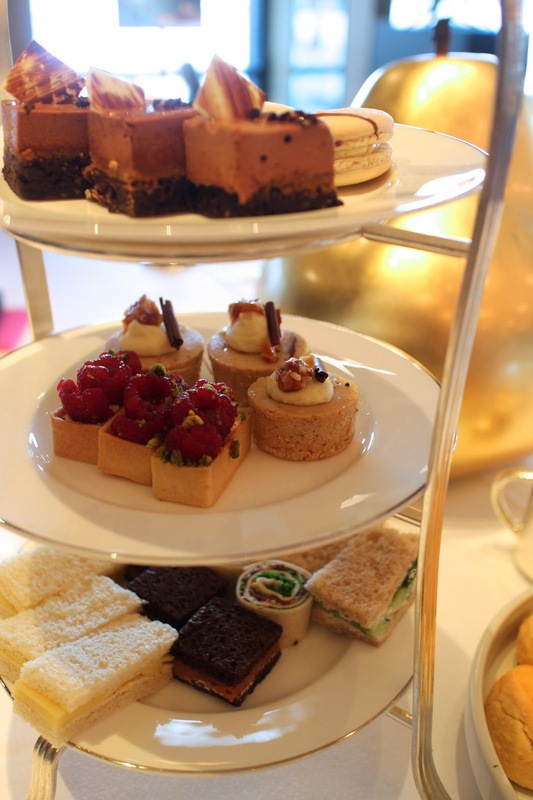 We order a combination of traditional ($49) and champagne ($65) High Tea which comes served with a glass of NV Moët & Chandon Brut Imperial Rosé. A combination of savoury and sweet treats arrive on tiered stands and include the classic cucumber sandwich, smoked salmon, dill and cream cheese sandwiches and my new favourite - Comte cheese and truffle. 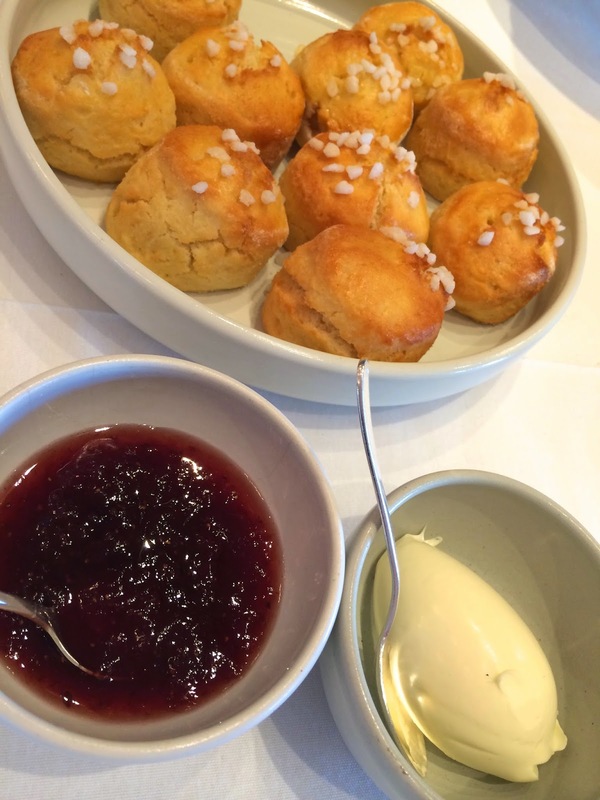 The warm vanilla scones are light and airy, served with the perfect accompaniment of clotted cream and rich strawberry jam. The macadamia praline cheese cake and the raspberry, vanilla and pistachio tart are so good and it's really hard to pick a favourite after already devouring the 'A la Folie' Macaron and the Valrhona chocolate delice. 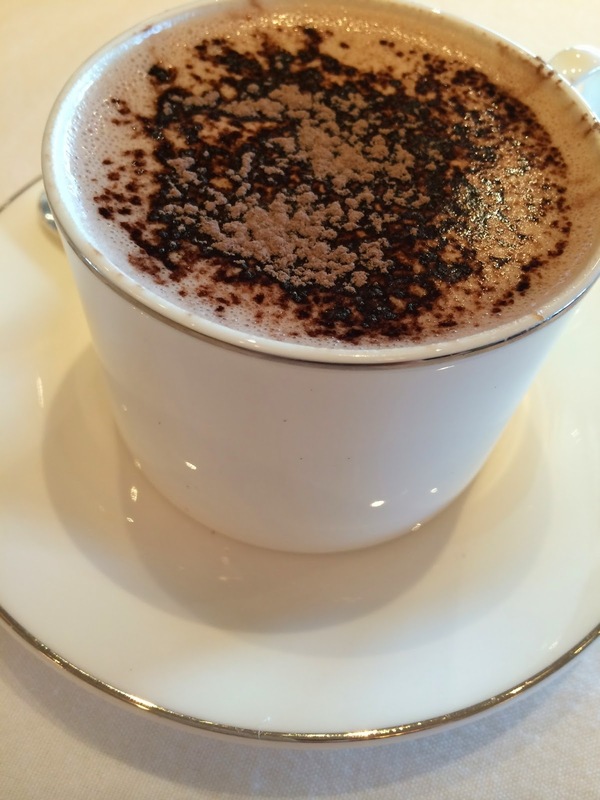 While my family happily chat away, I sip on my delicious hot chocolate and peer out across the water at the Opera House, happy to have created yet another happy memory at the Hyatt. The Food Mentalist and Pete dined as dinner guests of The Park Hyatt. Afternoon Tea was paid for separately. That gazpacho looks so pretty and scones are always my favourite part of high tea!